Europe's Egg-Contamination Scandal Spreads As Far As Hong Kong : The Two-Way Tainted eggs have been found in at least 16 countries in Europe. Millions of eggs have been pulled from European shelves over fears they are contaminated with fipronil, which is used to kill insects. People stand in front of eggs displayed at a supermarket in Lille, France, on Friday as a scandal over contaminated eggs spreads across Europe. The scope of Europe's contaminated egg scandal is expanding, reaching as far as Hong Kong. Farms in four countries — Belgium, the Netherlands, Germany and France — have been blocked from selling eggs after detection of the pesticide fipronil, EU trade and agriculture spokesman Daniel Rosario told reporters Friday. He says contaminated eggs have also been found in at least 11 other EU member states — Sweden, the United Kingdom, Austria, Ireland, Italy, Luxembourg, Poland, Romania, Slovakia, Slovenia, Denmark — as well as in Switzerland and Hong Kong. Millions of eggs have been recalled from European supermarket shelves over concerns about the use of the pesticide. Fipronil is used to kill insects such as mites and is banned from use on animals in the human food chain. It was believed to have been mixed with a pest-control agent that is legal to use around poultry, contaminating their eggs. "It's the moment to act in a decisive, coordinated and transparent manner, not to engage in any kind of blame game," Rosario told reporters. "At an emergency parliamentary hearing Wednesday, Belgian Agriculture Minister Denis Ducarme placed the blame for the contamination with the Netherlands. The minister told lawmakers that Dutch authorities had been aware of the contamination since last November and failed to alert others." Dutch officials reject the claim that they were aware of the pesticide issue in November, Colin added. 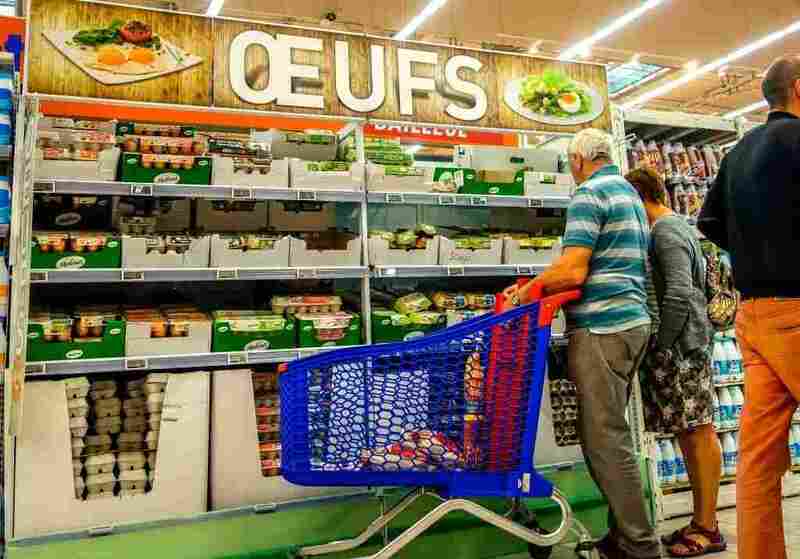 Belgian authorities discovered the traces of fipronil in June, Colin reported, and EU officials say Belgium sent a message to the Netherlands about it on July 6. Questions are being raised about the manner in which Belgium raised the alert about fipronil — because according to Rosario, Belgian officials sent a request for information bilaterally to the Netherlands using a system for food fraud issues. This is a system not actively monitored by the European Commission. Two weeks later, Belgium sent a message to the European Commission's Rapid Alert System for Food and Feed, which is used to inform all EU member states about potential food safety issues. On Thursday, two people in the Netherlands were arrested in raids linked to the fipronil contamination, according to Reuters. The BBC adds that "a criminal investigation is under way in Belgium and the Netherlands, centering on two firms — Poultry Vision, a pest control firm from Belgium, which is alleged to have sold the treatment to a Dutch poultry farm cleaning company, Chickfriend." The insecticide has the potential to damage the liver, thyroid gland and liver if ingested in large quantities. The European Commission plans to hold a meeting about the contamination on Sept. 26. "We would like this meeting to happen with some distance to the ongoing events," Mina Andreeva, a European Commission spokesperson, told reporters Friday. "We would like to have as many facts established as possible."